Minutes of the 38th Quarterly Salt Lake GIS Users Group (SLUG) meeting, held on November 13, 2018, from 11:00 am to 1:00 pm at University of Utah – Gardner Commons (260 Central Campus Dr.) in Salt Lake City. There were about 99 in attendance. This meeting’s lunch was sponsored by the University of Utah Digit Lab. If you have any contacts that would be willing to ‘sponsor’ a lunch by providing food/ drinks in exchange for their advertising at the meeting, contact Tom Toronto, SLUG Board member. · Welcome to the new Gardner Commons building. Thanks to the University of Utah DIGIT Lab for hosting and sponsoring the lunch. Bert talked about some of the projects WFRC works on such as the regional transportation plan and the transportation improvement program, which aims to improve short-term transportation issues. The Analytics team which Bert is a part of works on transportation modeling, land use modeling, demographics and GIS. An example of how GIS was used to create a travel demand model, which looks at congestion on regional facilities. Another example was the access to opportunity that attempts to quantify how well the current and future transportation system works with land use to help the local economy thrive. Bert ended with welcoming opportunities to work together by continuing to share data between the different entities and WRFC. What State is this? You can see this clip HERE. You can see many of the videos we’ve shown (not including the above one) at SLUG meetings on our own YouTube channel HERE. Dr. Dennison presented on Mickey Campbell, PhD works entitled: “Using crowd-sourced GPS data to map the effects of terrain slope on travel rates”. Looking at how slope affects travel by calculating travel rates from GPS point interval data. This work will benefit future firefighting efforts by providing travel times for escape routes. Yangyi talked about understanding spatial heterogeneity of housing prices with large datasets. Specifically looking at spatial clustering and housing submarkets as well as transportation access to better understand the housing situation in the Salt Lake valley. The next meeting is on February 21, 2019 at 11:00 AM at the Doty Family Education Center in Murray. 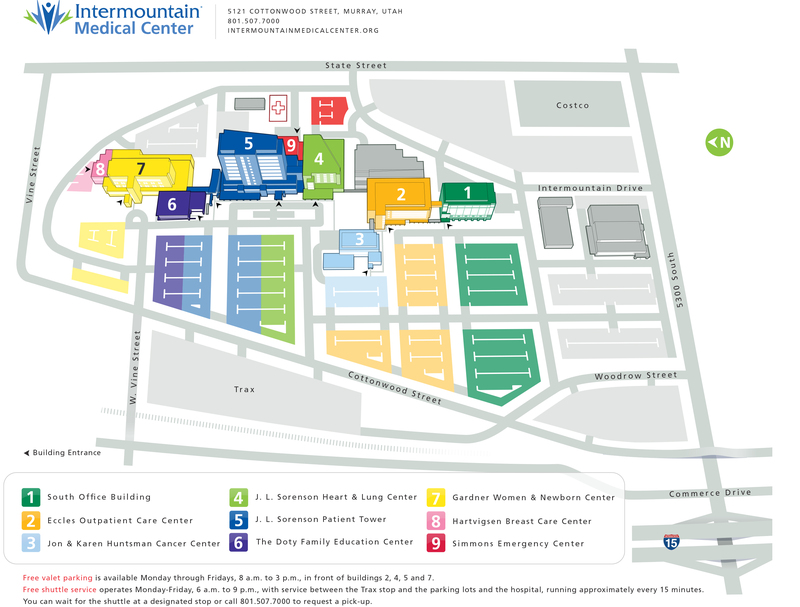 You can see a map of the IMC complex HERE.